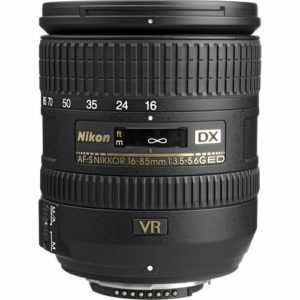 The Nikon AF-S DX NIKKOR 16-85mm f/3.5-5.6G ED VR is a standard zoom lens for Nikon APS-C digital SLR cameras. If mounted on a full frame Nikon DSLR you will either get severe vignetting or the camera will crop the image down to the APS-C sensor size. 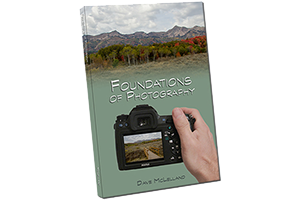 This lens is targeted towards the more advanced amateur photographers. As such has a better build quality than the traditional kit lenses. It does not have the robust professional build quality, weather sealing or constant aperture typically found in pro lenses. Thanks to it’s 67mm filter size this lens is a great companion to the AF-S Nikkor 70-300mm f/4.5-5.6 VR telephoto zoom lens. I previously owned this lens and while I have not formally reviewed it overall I was pleased with it’s performance. However, I felt the price was a little on the high side. I think this lens should sell for around $550 instead of $700. I preferred the Tamron 17-50mm f/2.8 (non-VC) to this lens. This in spite that the Tamron lacked image stabilization, fast/silent autofocus operation and zoom range in favor of the constant f/2.8 aperture. based on 815 user reviews online.